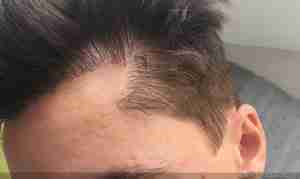 What are the Different Types of Corrective Hair Transplant Operation? An example of a poorly operated hairline and substandard graft direction. This method involves the use of micrografts consisting of one, two or three small hair follicular units. These are handy for the transplanting hair in front. It is also possible to use them to conceal the larger grafts and improve their appearance. This will make them look more natural and aesthetically pleasing. Furthermore, the medical team will only take the larger grafts, reducing the cost and time of the process. The hair camouflaging process is very useful and it can save a larger number of grafts.